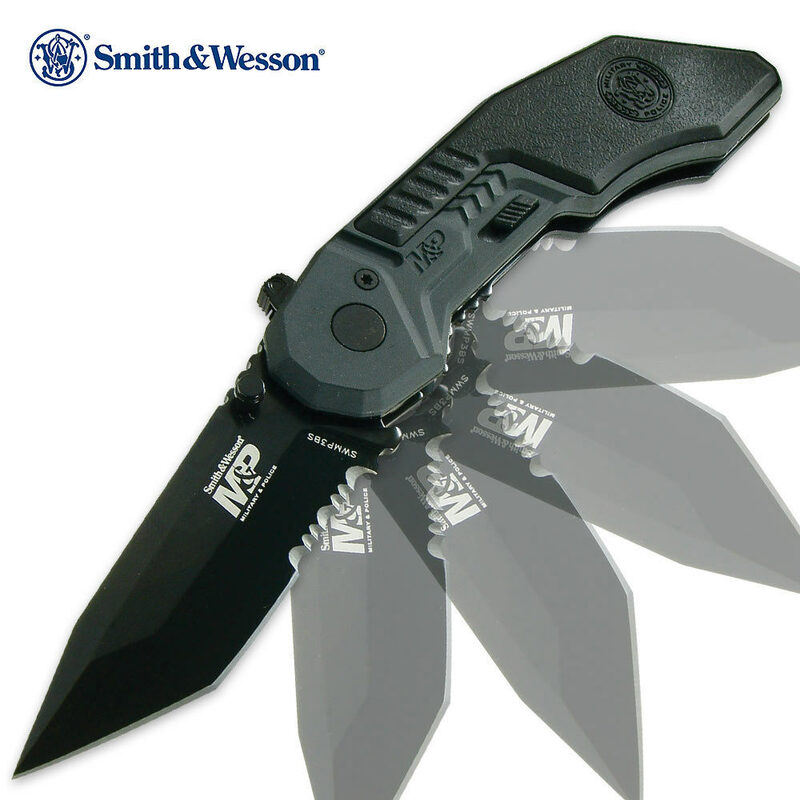 Smith & Wesson M&P Assisted Opening Pocket Knife Tanto Serrated | BUDK.com - Knives & Swords At The Lowest Prices! Smith & Wesson has you covered with this Smith & Wesson MP Series Three folding pocket knife, and this time it's equipped with a serrated modified tanto blade constructed of 4034 stainless steel. Built with a sliding safety release, you can engage the rapid-release M.A.G.I.C. assisted-opening mechanism with the thumb stud, and put this serrated pocket knife to work. I have been a fan of Smith and Wesson knives for a long time and this is a great knife and has me wanting more. The only thing I really don't like is the placement of the pocket clip. It should be on the other end of the knife. Possibly the best pocket knife i have ever owned. The blade is sturdy and sharp, the handle feels durable, and the ergonomics are great. if you are in any line of work where a reliable, strong knife is needed, buy this one. The switch is a little tight but easily broken in with a few weeks of moderate use. Holds a mean edge, the grip is excellent, and the safety is a nice touch too. And of course so, so portable, as it is designed to be clipped inside the pocket.